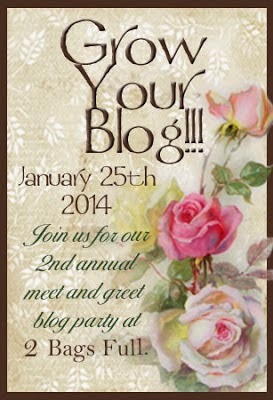 Spruce It Up Quilting: Today's the day: Grow Your Blog 2014! Hey Lorette! I am stopping by for Vicki! I am one of her helpers today.. just helping her to visit all the blogs that are participating in the "Grow your Blog" party. Great Job and great blog. Havae a great day and enjoy all the visits...here's to growing you blog. Blessings! Thank you Patty. It's taken me awhile to get to my blog and to visit others but now that our move back to Canada has happened, and as I get my nose out of these boxes, I will spend more time visiting the others on the list and those who have so generously left me comments! Thank you to Vicki too for the opportunity to grow my blog! Thank you Sheila. You've been on my Bloggers Cruise Bookmarks for quite some time! Thank you for following and I am reciprocating as I love your work! Thank you Barbara. I've visited your blog and have become a follower. You have terrific projects and I like your style! Happy to meet you! Hi Lorette....you have a lovely blog....love your quilting, especially the applique! Bonjour Averyclaire! Love your name BTW! I have become a follower of your blog too since we have so many needlearts in common. Your work is exquisite! I'm flattered you want to follow my blog! Thank you! I have landed here via GYB Party. That is quite the move and I hope it goe smoothly and you enjoy living in NB. I live in western Canada. 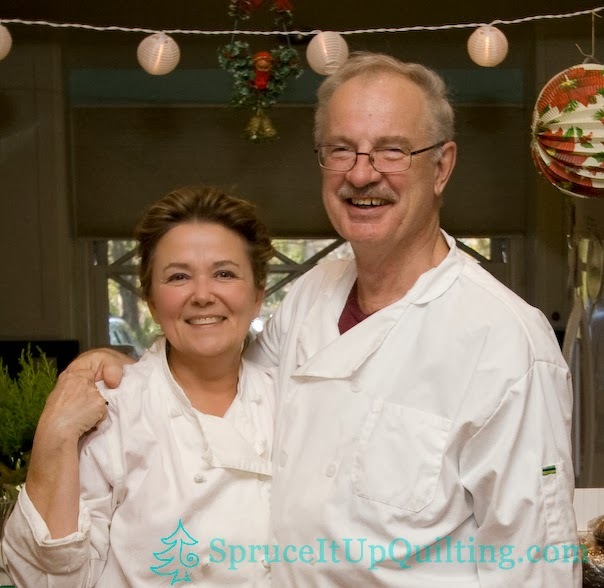 I am also a quilter and took my first long arm class this fall. Loved it too. That is a major transition from Tarzana to New Brunswick. Just back from Road, Lorette. Hope you class was all you wanted it to be. I'll be following you on google+. Come on over and visit me - I have a giveaway I think you'll like. Hi Lorette, I too would love to be using a longarm quilt machine! Hi Lorette, Dropping by on the GYB hop, what fun we're all having! I am a new Follower. I've really enjoyed looking back through some posts to see your wonderful work!! I know you already follow me, but I hope you'll drop by anyway and enter my Giveaway. Moving from So. Cal. to cold snowy NB eh? Hope you've given that careful thought!! We're having quite the winter weather!!! Hi Lorette, so happy to have found your blog amongst the hundreds at Vicki's :) I am pleased to hear you will soon be returning to Beautiful New Brunswick, the home of my ancestors and the place I chose to raise my family (I live in Bathurst). I have added you to my Bloglovin feed and look forward to reading about your adventures. Best of luck with your move! Hi, nice to meet you here. Thank you so much for sharing part of your here with us. Hope you enjoy your life in Canada. That is a lovely part of the country. I live in western Canada. Happy hopping! Hi, nice to meet you. Wow, a long arm! Have fun! Thanks for sharing your story & blog. I'm still, slowly, making my way through the list of blogs. Lots of quilters!